After presiding judge accused of collusion with investigator, defendant says: I will not lie and say I committed a crime- even if I die. Tel Aviv Magistrate Court Judge Ala Masarwa discussed Monday the release of six suspects in the Bezeq corruption investigation. 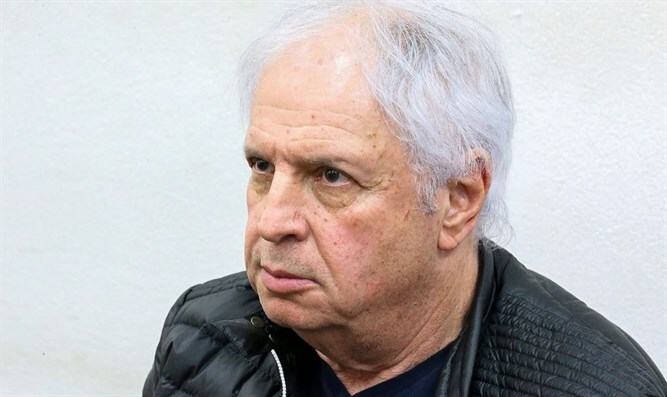 Shaul Elovitch, the majority shareholder of Bezeq, told the judge that the interrogations he has been subjected to have affected his health. "I feel that the entire interrogation is meant to break my spirit, , to damage my soul, and to harm my health. Every evening I sat with the paramedic for half an hour to an hour for blood pressure tests." "The interrogators are trying to get me to admit to something I never did, I told them I would not lie - even if I had a heart attack here," Elovitch added. The suspects' lawyers requested the hearing and the release of their clients following reports showing collusion between the previous presiding judge and the investigtors for the prosecution in the judge's decision to extend their remands. On Sunday, Channel 10 revealed a chain of messages which were posted on WhatsApp between Judge Ronit Poznansky-Katz and an investigator from the Israel Securities Authority. The messages concerned an upcoming hearing for suspects arrested as part of the “Case 4000” investigation, which centers on suspicions that an aide to Prime Minister Binyamin Netanyahu provided Elovitch with regulatory benefits in exchange for sympathetic coverage for the prime minister and his wife on the Walla! news website, which Elovitch also owns. The Tel Aviv Magistrates Court ordered that Poznansky-Katz be removed from the case, and that the case be assigned to another judge following the revelations. Minister of Public Security Gilad Erdan demanded that the judge be disbarred.